ALAFQ held the latest Info Session focusing on Benchmarking, Design and Disaster Management on Tuesday 20th March hosted by Belgravia at the Albany Creek Leisure Centre. Thanks to all members and non-members who could make it for another great event on the ALAFQ calendar. Sandra Klein – Commercial Manager – CERM PI University of South Australia, spoke about benchmarking for aquatic, leisure and recreation centres. CERM PI’s mission is to improve the performance of the sports industry through benchmarking indicators. Practical examples were delivered on how being a part of the benchmarking program can help obtain grants, increase visitor patronage and get more revenue for your venue. Nicole Price – ecoBiz Sustainability Coach impart critical information about your venue can move towards reducing operating costs and environmental impact. ecoBiz is a free government funded program to assist businesses reduce their energy, water and waste costs whilst also reducing their impact on the environment. If you haven’t reached yet, there is no better time than today. Michael Darben – Michael posed a vital question – What is your supervision plan? Delivering information about best practice for developing a supervision and risk assessment for your venue. If you need help in this area Michael is ready to help on a consultancy basis. Stuart Crane – Crane Aquatics specialise in facility inspections, service & auditing and operator staff training. Stuart presented information on the adverse effect that natural disaster’s can have on aquatic facilities from the pool through the plant room. With a wealth of experience in disaster recovery, Stuart is available to help get your facility back in perfect working order when nature strikes. 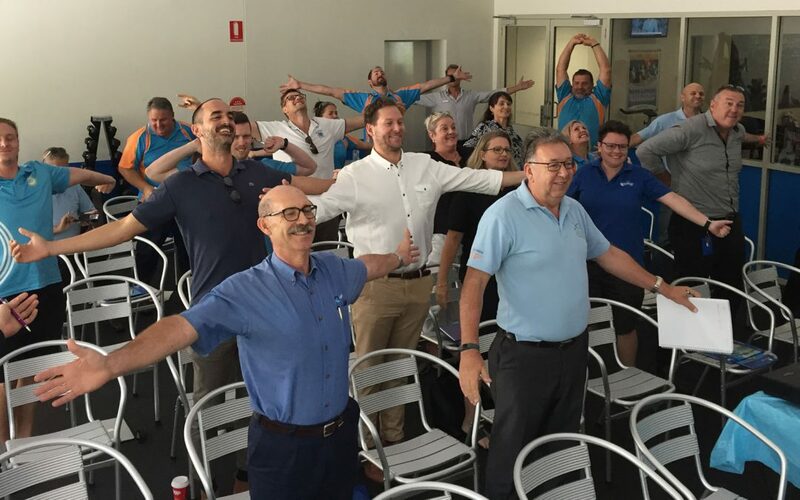 ALFAQ would like to thank Belgravia and the team at the Albany Creek Leisure Centre for being great hosts for the Info Session and also some special thanks for all members and non-members for attending and contributing to a very high-quality event.